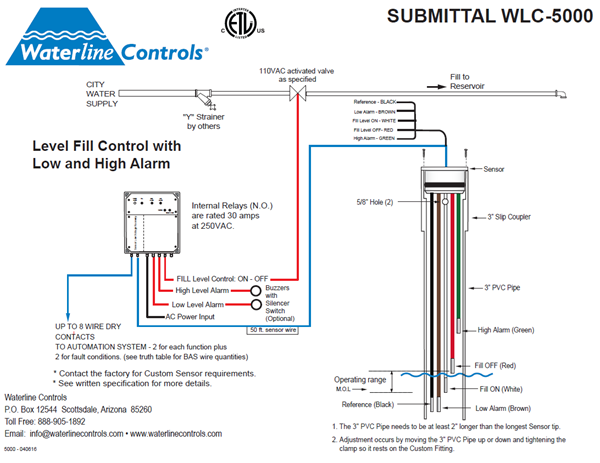 A Controller with fill, high and low alarms is the most popular system we offer. Cooling Tower mechanical contractors like it so much because it provides the operator with the most information about the water levels in the cooling towers, or any other environment they use it in, and it connects to their BMS. The BMS connections allow the operator to know the fill cycles, if it goes into either high or low alarm mode, or if it happens to lose power.